Are you Hispanic/Latino/Latinx and are looking for a Bilingual Spanish Speaking LGBT Peer Support Group? If so, join us for ¡Westchester, Tu Ambiente!! Group meets the 4th Thursday of every month at 7:00pm.This group also plans a social activity every month. Details will be added below when available. 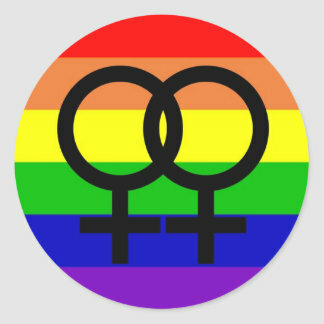 Eres hispano / latino / latinx y estás buscando un grupo de apoyo LGBT bilingüe entre pares que hablen español, Si es asi, unete a nuestro grupo llamado: Westchester, Tu Ambiente!! El grupo se reune el ultimo jueves de cada mes a las 7:00pm. Este grupo tambien planea una actividad social cada mes. detalles seran añadidos cuando esten disponibles. ¡Westchester,Tu Ambiente! is currently on hiatus while the group looks for facilitators. If you are interested in becoming a facilitator for this group, please contact Ryan at ryan@loftgaycenter.org or call 914-948-2932 X14. ¡Westchester, Tu Ambiente! Actualmente se encuentra en pausa mientras el grupo busca facilitadores. Si está interesado en convertirse en un facilitador para este grupo, comuníquese con Ryan en ryan@loftgaycenter.org o llame al 914-948-2932 X14. Silver Connection's Planning Committee is your chance to take a leadership role and lend your voice and expertise to the growth of our Silver Connections program. Both new and returning Silver Connections members are welcomed and encouraged to join us! Contact Shepard at (914) 948-2932 ext. 13 | shepard@loftgaycenter.org if you have any questions. Join LOFT Families for games, treats, and fun! RSVP to Ryan at ryan@loftgaycenter.org | 914-948-2932 ext. 14. The next LOFT Families meet-up will be on Saturday, April 27th, from 10:00am-12:00pm at The LOFT! Please RSVP to me at ryan@loftgaycenter.org | 914-948-2932 ext. 14 by Friday April 26th if you are planning on attending. Hope to see you there!